Your health. Some days, you just wake up and you don’t feel well. Hopefully that does not happen to you on the day of the LSAT, and you should do everything within your power to stay as healthy as possible in the days immediately before the test. Unexpected traffic or transportation issues. You may know the route to your test center like the back of your hand, but if there’s an unforeseen traffic problem (like a wreck on the freeway) that can really throw a wrench into your plans. Even if you arrive on time, it’s hard to immediately shake the feeling of pressure and anxiety that being late can cause. Of course, that pales in comparison to when you have serious car troubles, like a flat tire or your car won’t start. I’m not suggesting you take your car in to be serviced just for the LSAT, but if you have an unreliable ride, maybe have a friend you can call for a ride as a backup plan. Weather-related problems can also be filed under this category. 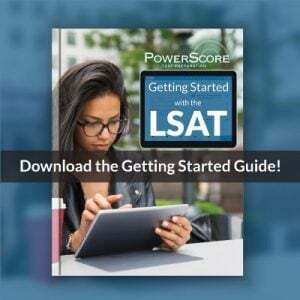 As we saw in 2013, winter storms can cause lots of problems (both the February 2013 LSAT and December 2013 LSAT suffered weather postponements), and in 2012 a hurricane caused problems for the October 2012 LSAT takers. How good your proctors are and how well they keep time. 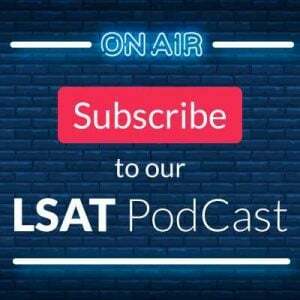 While theoretically the proctors should be a non-factor in your testing experience, far too often they play an active role in your LSAT performance. Bad proctors fail to announce the time remaining, or worse, shorten sections by accidentally cutting time off at the end of a section (or sections). Of course, sometimes the proctors accidentally allow for extra time, although that seems to happen far less than proctors cutting time off. Side note: to counteract problems with timing, ask your proctor before the test starts how they will time the sections and exactly what announcements they will make. This helps to remind them that they need to do a good job. Another way proctors can affect your test is how they enforce the rules. An overly aggressive proctor can cause real problems, particularly by disallowing certain things you bring to the test, such as your pencils, watches, or even food. For example, in New York, proctors have confiscated non-digital watches that actually met test regulations simply because they looked too complicated. Always have a backup plan, and, if possible, try to keep your watch to a very obviously analog wristwatch. Facility problems can also have an adverse affect on your testing day. Malfunctioning heat or AC in the testing room can cause you to be uncomfortable (dress in layers! ), broken wall clocks can confuse proctors, and external occurrences like power failures during the LSAT (it has happened multiple times) or sound issues like the marching band practicing outside the test center (also happened) or fire alarms going off can disrupt your ability to focus. The people around you in the testing room. This one may not spring to mind immediately, but your fellow test takers can strongly affect your testing experience. We’ve all taken a test where someone else was coughing repeatedly, or perhaps they tapped their foot or their pencil throughout the test. Those are all distractions you don’t think about until you have to deal with them. On the other hand, if you have a nice group of calm, healthy people in the room with you, you won’t have to face any of those problems. Note that I didn’t mention how good the chairs and tables are at the center because those can be pre-determined, and you can avoid testing centers with bad testing desks. The placement and type of the Experimental section. 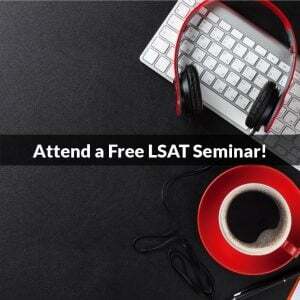 Maybe more than any other luck-related element, this is the single factor that consistently impacts LSAT results. The type of section alone makes a difference (three LR is tough for almost anyone, and a second LG is bad news for some people), and where it occurs can be troublesome as well. For example, if you get a tough Experimental Logic Games section right out of the gate, it can throw off the rest of your exam. Order of section presentation. This relates to the first point above, but how the sections are ordered on your exam has an impact—sometimes good, sometimes not. The scoring scale. While this isn’t really a luck-related element because it is tied to overall test difficulty, having a loose or tight scale and test difficulty can impact your results, as some combinations are better suited for certain people. The distribution of answer choices. The way answers are distributed throughout the test could probably generate its own article. Answer placement can affect your guessing (if you end up guessing on any questions), as well the amount of comfort you have as you progress through each question. Napoleon once said, “Give me lucky generals,” and in that vein of thinking you might get the idea that it is better to be lucky on the LSAT than it is to be good at the LSAT. That’s not the case. Despite the lengthy list above of items outside of your control, those elements only add up to a very small portion of your LSAT result. What impacts your score the most is, by far, the preparation that you do, and you want to do as good a job as possible with that in order to counteract any elements of chance that might affect you on test day. At the same time, you want to be as aware as possible of all the factors that can affect your test experience, whether you can control them or not. So, when it comes to the factors above, prepare for the worst, hope for the best, and expect anything! Have any other thoughts on luck elements in the testing experience? Please post them in the comments below! Photo: “Luck is… (explored)” courtesy of Umberto Salvagnin.